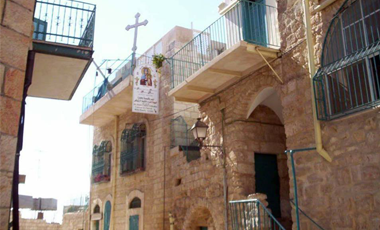 BETHLEHEM, WEST BANK (BosNewsLife)-- Palestinian officials are hindering court cases involving Coptic nuns attacked in the Westbank town of Bethlehem, activists say. The trials relate to violence on April 30 last year in and around the St Mary's Coptic Church and Convent in Bethlehem, the Biblical birthplace of Jesus Christ, explained advocacy group Middle East Concern (MEC). TEHRAN, IRAN (BosNewsLife)-- Iranian Christians have expressed concern about detained Christians who spent Easter behind bars amid including two Christian converts who were tried on charge of organizing house churches after eight months of uncertainty. DAMASCUS, SYRIA (BosNewsLife)-- Syrian Christians were rejoicing Monday, March 10, after rebels freed more than a dozen Greek Orthodox nuns ending their near four-month captivity in exchange for Syrian authorities releasing dozens of female prisoners. CAIRO, EGYPT (BosNewsLife)-- Egyptian Christians appealed for prayers Wednesday, August 14, as dozens of churches were attacked by furious Islamic mobs in response to a deadly government crackdown on protests in the capital Cairo that killed at least scores of people. TEHRAN, IRAN (BosNewsLife)-- The U.S. State Department says it is in contact with the family of an Iranian-American pastor who activists say is jailed and mistreated for his Christian faith in Tehran. TEHRAN, IRAN (BosNewsLife)-- Iran's Supreme Court has upheld a death sentence of an Iranian pastor for leaving Islam and he was under pressure Saturday, July 2, to recant his faith in Christ, trial observers told BosNewsLife. CAIRO, EGYPT (BosNewsLife)-- The re-opening of churches that had been closed under ousted Egyptian President Hosni Mubarak is overshadowed by violence, according to rights activists.